Submitted by Steve Boss on Thu, 10/03/2013 - 12:03pm. GET THE GREAT TASTE weekly eletter. Sign up at www.greattasteradio.com. Maintaining a healthy physiology is an important objective for most people, and a physiology in good shape is a critical element for enjoying all aspects of life. Unfortunately, a universal system that works for everyone to achieve and maintain "good health" doesn't seem to exist. Our physiologies, though basically the same, have their own peculiarities. A diet and lifestyle that work for one person is another person's nightmare. 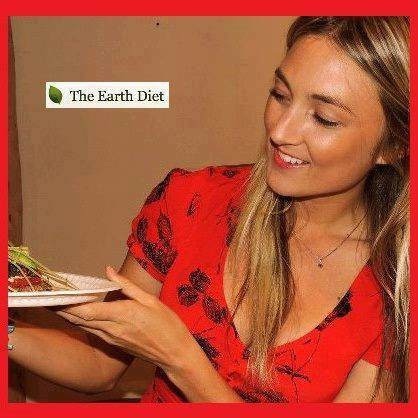 Liana Werner-Gray, founder of The Earth Diet may have hit on some strategies that make it easier for a good portion of humanity to live a healthy life. Before developing the myriad of programs that make up The Earth Diet, Liana went through her own battle with poor health, and we'll have the opportunity to hear her story during this week's show. Emily Rose Shaw and I talked with Liana a couple of weeks ago for about 20 minutes, and we'll play that conversation on the show. During October, Emily, who is Great Taste's official holistic nutrition coach, will have her original recipes published on The Earth Diet site. (The specific recipes Emily used on the show will find their way to the above link at some point during October.) As a mentor for clients of The Earth Diet she designs meal plans and provides email support. During the show Emily featured two of her recipes, a spaghetti squash pasta with cashew cauliflower ricotta, and an unbaked dessert of chocolate caramel brownies. They were both full of wonderful flavors. I've been thinking about the squash dish and want to add my take for a somewhat different flavor profile roast the cauliflower, cashews, and garlic, plus caramelize the onions. Get healthy and enjoy yourself at the same time-join the stream by clicking on "Listen Live" on the KRUU home page. In addition to Liana and Emily, Tom "music is my game" Allen and Beverly "Cinebites" Merson will help spice things up.